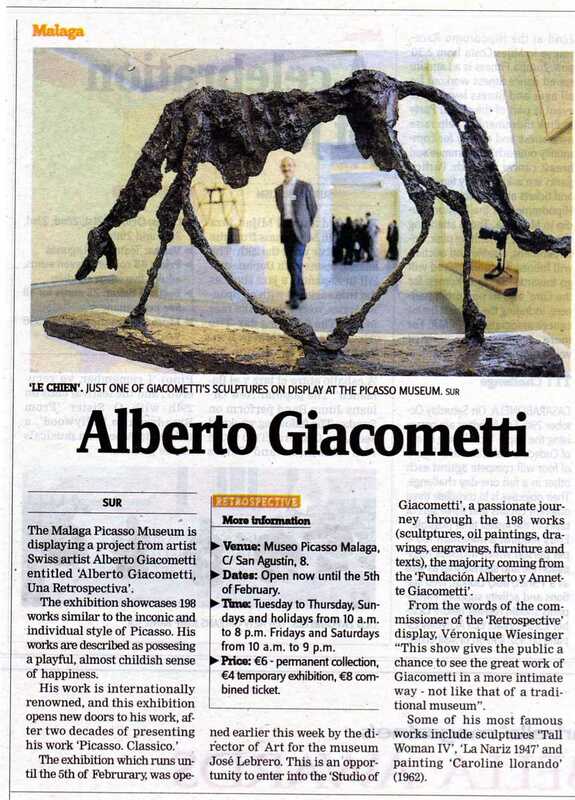 The Art of Alberto Giacometti on Display at The Picasso Museum Malaga | Marbella Marbella – Adelante! 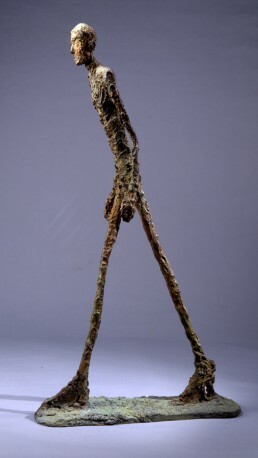 I first became aware of the art of Swiss-Italian artist Alberto Giacometti in the late 1960s during a time that I was absolutely engrossed in the new explosion of art in all its varying forms that was coming out of Italy, France, UK and in Sweden with thought provoking Bergman films. It was a special time for me as a young man, studying the many new and exciting ideas that were beginning to affect our generation from the new architects Le Corbusier, Renzo Piano, Pier Luigi Nervi and the Bauhaus Design School along with the visual stimulation from great talents such as Alberto Giacometti, David Hockney, Henry Moore, Frances Bacon, Andy Warhol and others. We were hit with and became immersed in, a plethora of brilliant and revolutionary film directors/producers such as the great Luchino Visconti, Antonioni, Pasolini, Frederico Fellini, Franco Zeffirelli, Bertolucci and the New Wave from François Truffaut, Jean-Luc Godard, Eric Rohmer and others. Then came arrival of new innovative and original film music penned by the genius of Ennio Morricone, Nino Rota and Michel Le Grand; the defiant and poignant songs of the anti-Vietnam movement from Joan Baez and others that swept over continents, along with the original sounds and songs of the Beatles, then later the Rolling Stones, as London’s Carneby Street, became a symbol of new found liberation, creative design, sexual freedom and self expression. I remember that our generation felt we could make a cultural and scientific difference and little seemed to stand in our way as we were brimming with unlimited confidence in ourselves and our ideas, as our youth experimented with new concepts and possibilities. Our artists, architects, designers, musicians (especially Jazz) and scientists, took pride of place in our conversations in the new coffee houses that were springing up as meeting places all over Europe. Giacometti was a part of the ongoing conversation with those of our generation. 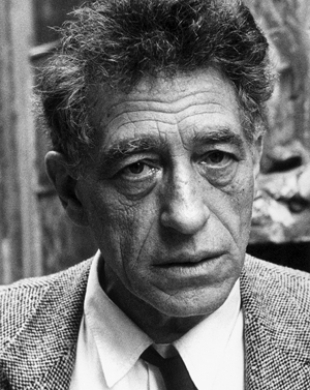 Alberto Giacometti as an artist, was an important symbol of that simple creative innovative spirit which I recall prevailed during that era.